Check out our magical selection of characters for the ultimate children’s birthday party or to add a little extra magic to any school, corporate, or special event. Our beautiful performers are hand-selected, music theater professionals who provide the most authentic singing character experience. No detail is left undone. 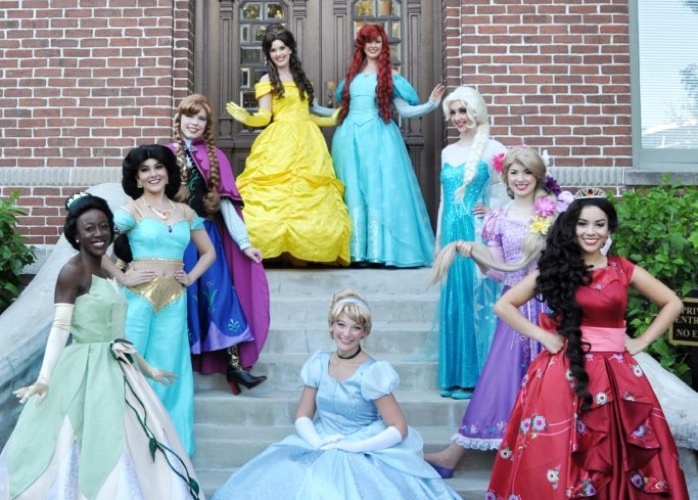 Our talented cast bring your child’s favorite storybook princesses to life adorned in couture gowns and custom-made wigs. 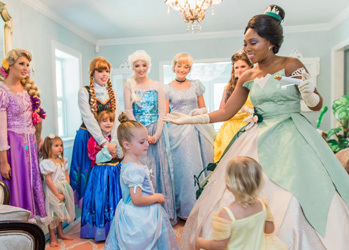 At Parties with Character, we are committed to higher standard in children’s entertainment by bringing your child’s favorite fairytale characters to life through authentic character experiences. We not only provide beautiful characters brought to life in exquisite detail, but enchanting performances that will feel like the character stepped right out of the storybook. 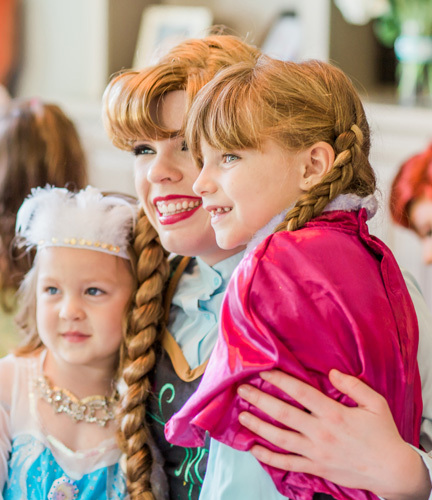 Our professionally trained performer vocalists are dedicated to creating a truly magical experience for your child and guests. 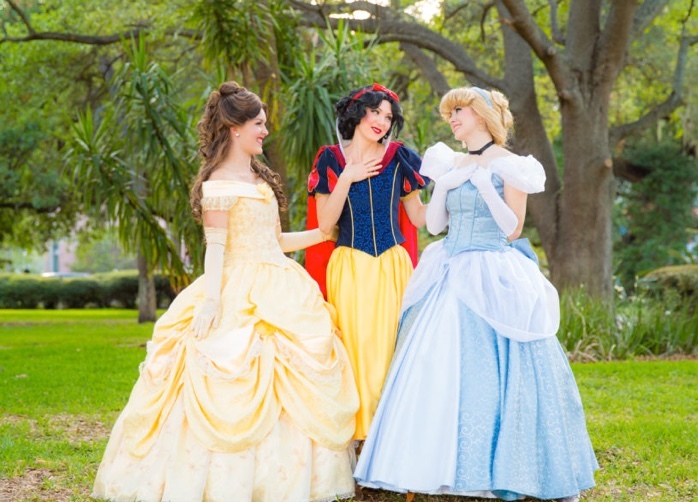 All of this magic is made possible by our hardworking Fairy Godmothers who create couture, theme-park quality costumes and handcrafted wigs, ensuring each character is absolutely enchanting from head to toe. Our goal is to use our training and expertise to bring the same magic, quality, and high performance expectations you would find in theme parks to your home. Share your stories and follow us for specials and updates.